'What will the 'Saas Bahu' specialists do in a digital video universe dominated by 'firangi' options like Netflix and Amazon Prime Video?' 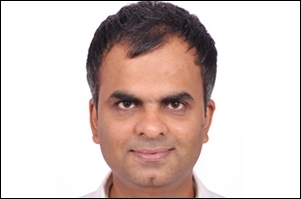 In and around April 2017, this was the question on everyone's mind when Balaji Telefilms announced it was launching an OTT subscription-driven video on demand (VOD) platform. The promoters explained that there was a world between 'Naagin' and 'Narcos' and that it was underserved. And thus, ALTBalaji was launched for that space. 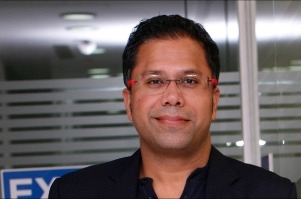 On the occasion of its second anniversary, Nachiket Pantvaidya, CEO ALTBalaji and group COO Balaji Telefilms, informs that the SVOD platform has managed to earn a subscriber base of 13.1 million as of Q3 (FY 18-19) from 8.9 million in Q2 (ending September 2018). The platform witnessed a monthly active user base of 4.6 million in Q3 (September-December 2019). Although happy with the numbers, going forward he would like to see a better balance between direct-subscription and acquisition through partnerships. At this stage, of the 13.1 million subscribers, close to a million are direct while the rest come through telecom operators and other partners. "Today, if you go to acquire customers in the market, it costs you between Rs 160-230 depending on your acquisition strategy and the time of the month. When we started this service we only had six shows; now we have 35 on the platform and we will review our partnerships as we go along. Because we did not have a library, it was important for us to use our partners to market our content to reach out to a wider base and be a part of the larger telco-internet business space that will change in the next six months," Pantvaidya says. The platform reports a watch time of 70 minutes a day. Two years after it started streaming content, ALTBalaji finds 50 per cent of its subscriber base coming from outside the top eight metros and 35 per cent from beyond the top 50 cities of the country. Pantvaidya believes the psychography is the same in the digital universe, "There is as much an urban consumer in Sangli as there is a rural consumer in Mumbai," he says. However, according to him, viewership spikes vary depending on the type of content released in that particular quarter. A show like 'Bose: Dead/Alive' or 'Test Case' sees a narrowed reaction, whereas 'Apaharan' or 'Gandi Baat' appeals to a wider audience. ALTBalaji classifies its target group into three categories and accordingly aims its 'Original Content' towards them, "One is targeted to the 20-40 age group - these are our upgraded dramas. Then we have the tentpole shows like Test Case' and 'Bose: Dead/Alive' which attract international audiences and third is male-focussed content which include 'Apaharan', 'Gandi Baat' and 'Ragini" Pantvaidya explains. At this stage, the international audience contributes to 5 per cent of the total viewership on the platform, the male-female viewership ratio on ALTBalaji is 60-40, but the female viewers spend twice as much time as the male viewers, informs Pantvaidya. The payment ratio is, however, skewed 65-30 towards male subscribers. ALTBalaji has been spending Rs 100 crore a year on content since it began and intends to do the same going forward. It has its eyes set on Hindi language content. "We have made one show in Bengali and one in Bhojpuri and realised that it's not helping our cause much. Either you need to make 10 Bengali shows or 10 Bhojpuri shows and market them otherwise viewers watch one show and then switch to Hindi. It's the same for Tamil because people watch Tamil shows, but are not watching the dubbed content as much as we thought they would," says Pantvaidya. Adding that the streaming service will look at regional content in early 2022 but till then, it sees merit in spending resources on Hindi content. A couple of days ago, SVOD platform Netflix announced that it would enrich its library of Indian content by releasing a total of 15 original films by 2020. ZEE5 also announced a few original movies in its slate of 72 shows for 2019. ALTBalaji, however, despite having a movie studio in Balaji Motion Pictures, is not looking at movies at this stage. "Movies don't make sense for us; we find more sense in selling the digital rights of our movies to other platforms who do not have enough original content. Digital (rights) movies cost around Rs 40 crore at this stage, whereas we plan to make 20 shows in our budget of 100 crores," Pantvaidya states. Refusing to accept ALTBalaji's content is bold. Pantvaidya mentioned that when compared to some of the international content that the competition streams, ALTBalaji content is "Mild". He accepted the content is edgy and, therefore, ALTBalaji positions itself as a platform for the 18+ audience. It has some kid's content which the platform started with, but in the next 18 months, ALTBalaji plans to knock off the kid's section completely and exit from that play. If the subscriber base is a matter of pride for Pantvaidya, so is the turnover. In its first year, ALTBalaji clocked Rs 7 crore. "In the first three quarters of the second year we clocked around Rs 29 crore and in my estimate, we will end the year with a turnover of Rs 42 crore," he says, adding, "When we launched, many said people wouldn't pay for content in India and that's proven false. We have an SVOD model working for us." He outlined that ALTBalaji is in line with its expectations in terms of both revenues as well as expenses. "We said we would spend Rs 150 crore a year, of which Rs 100 crore will be on content and the rest on marketing etc. We did this for the first two years and we plan to stick to it in the future," Pantvaidya asserts. As per Pantvaidya's projections, ALTBalaji will see its first quarter of break even in the next 12-18 months. However, he feels pricing the packages right and how ALTBalaji takes on the rising competition will be key going forward. Hotstar is charging a rupee a day (365 per Year) for its Hotstar VIP subscription allowing users to stream live sports and watch Hotstar Specials (not international content) and Rs 999 for a premium subscription with access to all content (VIP + International). ALTBalaji is priced at Rs 300 a year (less than a rupee), but Pantvaidya believes there is room to slice the pricing by creating smaller sachets. "What we are looking at is if we can pay... say Rs 10 a week... that would make retention very difficult. The larger idea is to make it affordable for Indians," he says. He also believes that telecom operators can throw up some "interesting challenges" for OTT platforms if their pricing changes. "Data is free and, therefore, consumers are not paying for the data, but the service. If Telco starts charging and we also ask for subscriptions, it remains to be seen how consumers will react," he concludes.